Green Apple Roofing is a premier commercial and residential roofing company located in Ocean, NJ. We offer a wide variety of roofing services to meet all of your roofing needs. We have dozens of options for Energy Star rated tile, flat, shingle, rubber, asphalt, and metal Roofing products to keep your roof and home cool. A Green Apple roof can save you money on energy by reflecting the sun away from your roof and home. 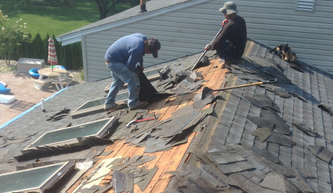 We also offer competitively priced shingle, flat and tile roof repair services and roof maintenance. We offer competitive pricing, outstanding customer service, and strive to exceed your every expectation! Green Apple Roofing is an industry leader that does it all when it comes to the exterior of your home. We specialize in rubber, metal, flat, shingle, steel, Certainteed, GAF, slate, concrete, EPDM, clay, tile, copper, green, torch-down and hot-tar exteriors. Green Apple warranties can provide you with life-time protection against the worst weather conditions mother nature and the Jersey shore will bring us. Looking for a new roof? Our experienced GAF certified contractor will help you find the right roofing, siding or gutters for your home. Looking to repair an existing roof or stop a leak? We use state-of-the art membranes that will allow you to repair your roof and save thousands by avoiding the need to purchase a new roof. We can even provide you with an extended warranty on our repairs. 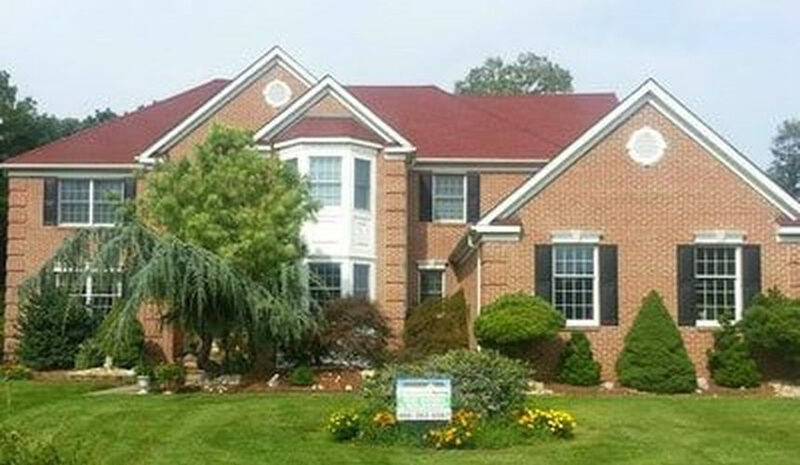 Green Apple Roofing premier New Jersey based residential and commercial roofing company. Established in 2001, we have over 10 years of experience designing and installing top quality roofs in both commercial and residential buildings. We use only the highest quality materials and guarantee your satisfaction! Contact us and see what Green Apple Roofing can do for you today! No project is too big or too small. 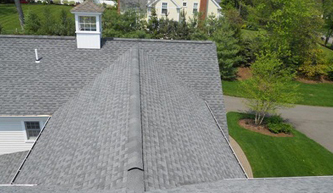 If you are having an issue with your roof, it is important to get it addressed right away. Whether there is a leak, missing shingles or it is just getting old and warn, the sooner you act the less risk your home will experience. While there are many roofing companies in the area, it is important to work with one you trust. Here at Green Apple Roofing, we have been in business for over ten years and have earned a strong reputation for quality services. We are fully licensed and bonded and we invite you to look us up on the official State Of New Jersey Licensing page. When we come out to your home or business, you can be confident that it will always be a licensed roofer who is providing you the services you need. 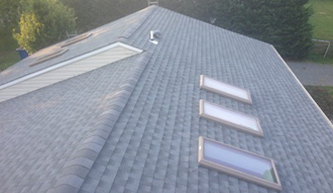 We also only use top of the line roofing products to help ensure your home or business is protected. If you have a leak or other emergency roofing problem, please contact us right away for an emergency appointment. If you are just starting to think about having your roof replaced, get in touch with us for an appointment where we can offer you a no-obligation quote for a roof installation. Either way, our number is 866-363-6567. 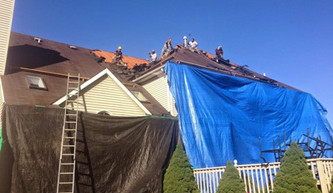 Green Apple Roofing provides exceptional residential and commercial home exterior services to busy towns like Lakewood as well as smaller towns like Like Tinton Falls, Long Branch and Howell. 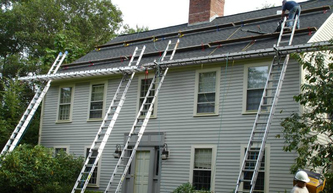 From roof repairs, seamless gutters, vinyl siding and new home exterior system we do it all. Our Green Apple trucks can be seen all over Monmouth and Ocean county. 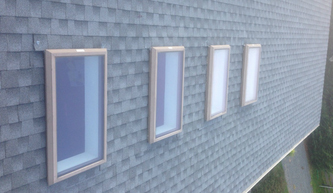 Green Apple Roofing understands that homeowners and commercial establishments in New Jersey seek home exterior solutions that they can count on. It is important for them to have quality they can trust and prices they can afford. To top it all off many of them also care about the environment as much as we do. 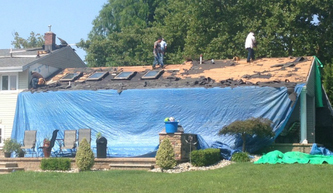 Our solution to this need is simple; to provide quality roofing services with extended warranties that are affordable. In recent month our Green Apple worker crews can be found hard at work in the Toms River, Middletown, Freehold and Lakewood areas. These up and coming towns have been buzzing about Green Apple solutions that will keep them safe throughout the year (including hurricane season) while keeping the environment safer. Learn more about our residential and commercial services today and feel free to contact us now for a fast and free in-home estimate.